There’s a richness and craftsmanship to It that you don’t see much in horror movies anymore. The genre thrives on cheap, quick little cash grabs, which usually means sticking to the business of scaring us. Even brilliant ones like Halloween tend to thrive on technique more than ideas, and considering that director Andres Muscietti’s first film Mama worked best as stimulus response, it’s a pleasure watching him rise to the challenge of more sophisticated storytelling. Stephen King’s novel makes grand source material, which Muscietti develops in ways that go far beyond just a creepy clown. It demonstrates again what horror movies are capable of when they set their mind to it, and while it can’t compete with Get Out for sheer timeliness, it seems remarkably in step with our troubled era. Ironically, the film can’t always be as scary is it wants to be. Muscietti returns to the same bag of tricks that made Mama so frightening – surreal figures with distorted limbs, moving towards us WAY too fast for comfort – but the returns have diminished a bit. That’s not to say it’s devoid of creepy moments — uniformly provided by Bill Skarsgard’s demonic clown Pennywise – simply that they won’t haunt your nightmares the way the very effective ad campaign promised. Skarsgard finds an understated vibe to his scuttling monster and his boo-gotcha moments are quite slick, but they don’t create the screams they’re clearly intended for. That comes about in part because Muscetti seems much more interested in story and character than just jolting us. And It certainly justifies such focus. As one of King’s most beloved works in no small part because of its appealing heroes. Seven of them populate the town of Derry, ME: motormouth Ritchie (Finn Wholfhard), asthmatic Eddie (Jack Dylan), orphan Mike (Chosen Jacobs), abused Beverly (Sophia Lillis), chunky Ben (Jeremy Ray Taylor), worrywart Stan (Wyatt Oleff) and their de facto leader Bill (Jaeden Lieberher), a chronic stutterer whose little brother vanishes after chasing a paper boat down the storm drain. That, of course, is where the monster lives: emerging every 27 years in the guise of the second or third scariest clown you ever saw (sorry, there’s a bit of a bumper crop) to sow a little terror and bloodshed. Factories blow up, racists burn down black hangouts, and children – so many children – just disappear, never to be seen again. The seven – calling themselves the Losers’ Club – encounter it one by one, and slowly pull together in an effort to destroy it. King always thrived when dealing with the trauma of bullying, and the protagonists here were seemingly chosen to give any misfit or outsider reading it someone they could identify with more specifically. Muscetti gives them room to breathe for the film’s first half: their camaraderie a sword and shield against the sad normality of hiding from the mean kids while various adults blithely look the other way. 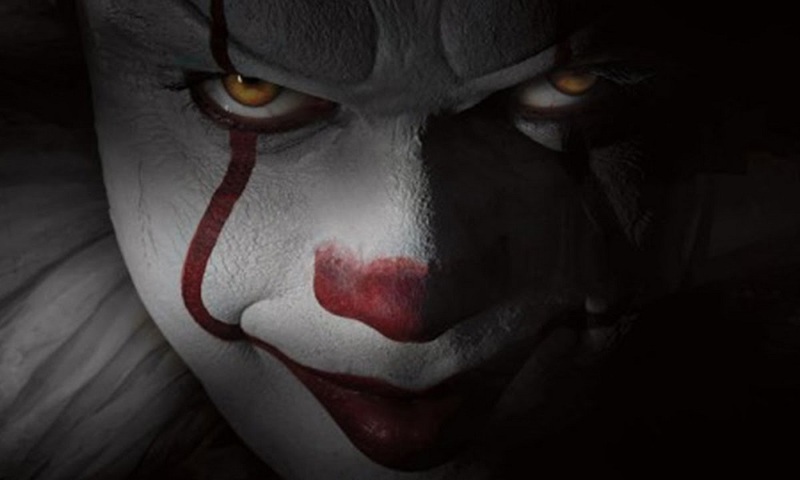 He adds a few attacks from the clown during the early section (including a terrific new version of the fateful encounter between Pennywise and Bill’s doomed little brother), but they feel more like the garnish then the main course. Indeed, they work mainly to link Pennywise to the far more ordinary terrors that the citizens of Derry seem happy to inflict on each other. That gives the scares plenty of symbolic resonance, as well as a wisdom that less polished horror movies never bother with. By the time the shocks ramp up in the second half, we’re already conditioned to look through them to more subtle truths. Add that to the nostalgic sheen of time and place, and the film works more as a bittersweet coming-of-age story than the terrors for which we presumably paid to see. It loses a little bit in the process, but gains a surprising amount in exchange: a work of surprising maturity, and a big step forward for a director rapidly becoming one of horror’s most interesting voices. He’s created something haunting and memorable here, and with part 2 already on its way, has a chance to elevate his game even further. As a self-contained movie, it works quite well. As the first half of a larger story, it remains to be seen where this director will take it. Judging by the work we see here, we have every reason to be optimistic.